Tay-O is back thrilling us with another dope tune! This one is a mid-tempo tune titled #Mouto. Mouto is a word from the native language of duala people which means a woman who will remain loyal and faithful to her man if she is treated right. 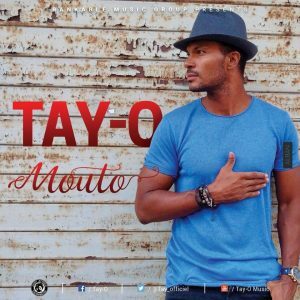 In the song, Tay-O expresses love to his #Mouto in Duala, French, Lingala and Arabic. In the list of performers at the Douala Hip Hop Festival 2011 , NexDim deemed it imperative to throw light on DOUTY ,who is unknown to millions of Cameroonians. Let’s discover ! Douty is an R&B, pop and dance hall artist born to a French father and a Cameroonian mother . He was born and raised in Cameroon till the age of 17 . He grew up influenced by Afro-Caribbean music, a blend of rumba, Makossa and Reggae. As a teenager, he was induced by artists in the 90’s like MC Solaar,Iam,Alliance, Ethnik,American R&B artists like Jodeci,Usher,Joe,Babyface and Jamaican music sensations like Shaba Ranks,Pliers,Mr Vegas and Shaggy.Michael Jackson however remains a reference and a source of inspiration throughout his career. Upon release of his debut single in 2003 in France , Douty like many other artists suffered the ramnifications of the profession and the industry’s crisis. Nevertheless, he carried on with other projects like the establishment of a record label in Cameroon to groom young African talents. Later on, Douty decided to get back to composing and interpreting with the collaboration of his old friend Mike Giorgi ,ex member of the group “Organiz” .He decided to record not one but two albums; the first one a tribute to his Afro-Carribean background for an exclusive distribution on the African continent and the second clearly urban blended with electro and hip hop influences…destined to Europe and the US. This musical diversity reminiscent of his “metissage” will be representative of an eclectisism of which he is proud of. The official release of the first two singles of both albums are expected to drop by January 2012. Douty ‘s mission to Cameroon is to shoot the video of his new single ”One NATION”, and perform at the Douala Hip Hop Festival.